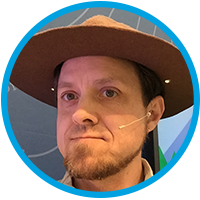 Our DevTrails programme at Stockholm Trailhead Live is perfect for daring developers and adventurous administrators alike. Join us at the Waterfront Congress Centre on 10th April for inspiring talks and a hands-on workshop too with our own Salesforce EMEA Developer Evangelist Peter Chittum. Our experts will inspire you with presentations on the business value of equality, building with Lightning Platform and creating beautiful custom interfaces which people love. You'll get the inspiration you need to build amazing experiences that people love, working faster, smarter and together with your team. Ready to get hands-on with the Lightning Platform? Bring your own laptop and join our 2-hour workshop led by Developer Evangelist Peter Chittum. He'll take you step-by-step through building an app, sharing his unique experience and skilled insights. Don’t forget to bring your own laptop! The Stockholm Salesforce Developers Group is a thriving community full of professionals just like you. Join us for a social meetup of the group on 9th April. RSVP here. In order to attend DevTrails, you need to register for the track by signing in below. You'll also need to register to attend Stockholm Trailhead Live where we are hosting DevTrails. Click here to register for the main event.